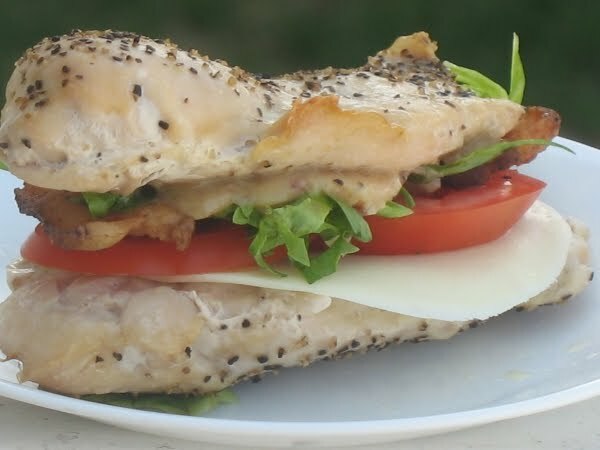 Double Downs should be made with real ingredients, the kind you can find yourself, and the type where you can pronounce all of the ingredients without college level chemistry courses. That said, it shouldn’t be surprising that after out moment of grief in the neighborhood KFC, I would go on my way and create my own version. Enter the real Double Down for real eaters. Super simple to create yourself, the sky’s the limit when it comes to your imagination. Rub chicken with oil, cracked pepper and sea salt. Bake as directed for the type of chicken you’re working with. I began with frozen breasts and baked initially at 375 for 15 minutes, and then at 325 for 30 more minutes. So it's good that I didn't get one then, eh? That is a good question. Yes, the bacon is cooked. I did the trichinosis thing once. I don't recommend it on any level, but I did some cool Exorcist tricks in the nurse's office! Oooh, i meant to comment/query the bacon cooked-ness on the bacomacadamiannaise…is THAT bacon cooked? Hi, Tracey! the special spread wasn’t so awesome–trust me. I’d instead go with a zingy mayo or horseradish mayo. 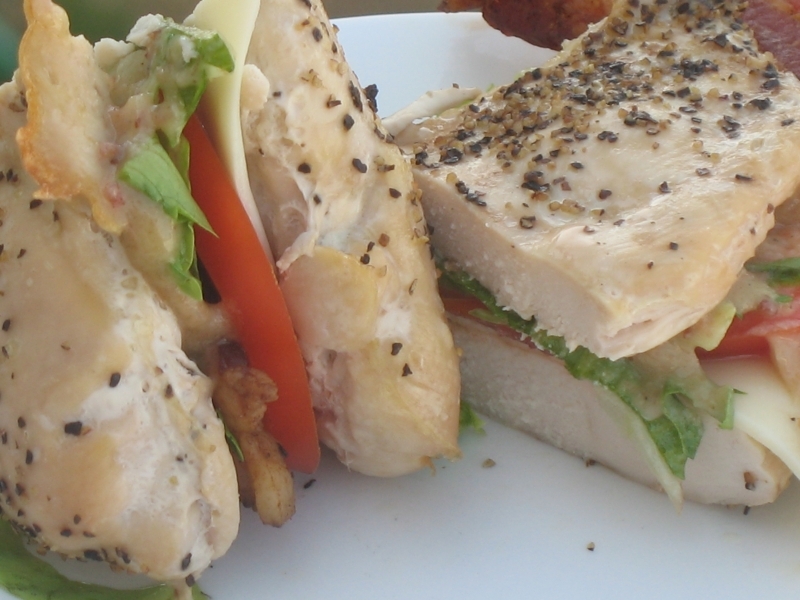 Chicken breasts can be so devoid of flavor. Hi there! I would say roughly 220 calories and 0 carbs for the chicken breasts (according to fitness pal) and then whatever you add to it. Loved it! I made it on my husband Forman Grill and it was a quick lunch today! !